Map of the National Road from Cumberland, Maryland, to Vandalia, Illinois. 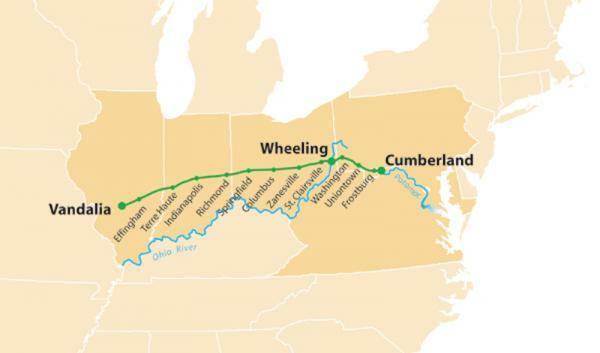 The National Road only passed through a corner of southwestern Pennsylvania, but it had a profound economic impact on the towns of Uniontown, Brownsville, and Washington, transforming them into centers of commerce and manufacturing. Already a barge and boat building center as it lay situated on the mighty Monongahela River, Brownsville expanded to steamboat building and river freight hauling after the new National Road linked it to the Atlantic seaboard.